At the head of the college is Margaret Clark. In her role as chief administrative officer, she sets the college’s intellectual and cultural tone, just as she is responsible for students’ physical safety and well-being. Together with the Associate Head of College, she oversees and cultivates the college’s social life, hosting study breaks, Master’s Teas, trips, and other events. The Head of College and Associate Head of College live in the college, in the Trumbull house, where many events are coordinated. The Operations Manager ensures the smooth functioning of the college. In addition to coordinating its events and maintaining its facilities, the OM oversees the college’s finances, serves as a liaison between the college and the business office, and supervises special projects. Supporting the Head of College is the Trumbull Office Senior Administrative Assistant, who handles the day-to-day business in the Trumbull Office. While coordinating with the staff in staging the college’s events, the Senior AA works especially closely with students and the TCC in support of their many activities. The Trumbull Aides staff the front desk of the Trumbull Office and help students and visitors with the million questions they bring to the office. The aides can help with scheduling a room, getting keys, signing out a DVD or board game, or registering a party. Professor Margaret Clark, Ph.D. (margaret.clark@yale.edu) is the Head of Trumbull College and a faculty member in the psychology department of Yale College and Yale Graduate School. Her research focuses on the nature of emotion, its social functions, and processes that characterize well (and poorly) functioning close relationships. She is president elect of the Society of Experimental Social Psychology, an advisor to the Swiss National Science Foundation and Israel’s Bi-national science foundation, and a senior editor of Psychological Science. At Yale she teaches courses on emotions and relationships and welcomes undergraduates who wish to become involved in research in her lab. She also serves on a number of committees for the university and as the Graduate Vice President of Yale’s chapter of Phi Beta Kappa. She lives in Trumbull College with her husband, Fred Polner. Their children Elizabeth and Michael who are currently in graduate school join them in the Trumbull house during vacations. In Trumbull, Margaret serves as the freshman adviser for those students interested in psychology and enjoys interacting with all Trumbull students and supporting them in reaching their goals. 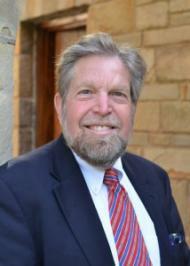 Attorney Frederick Polner, J.D. is Associate Head of Trumbull College. He is an attorney specializing in communications law, academic publishing, internet, and copyright issues. He is a sailor and skier, loves jazz and plays the drums. In Trumbull, Frederick serves as a freshman adviser for some of the students interested in the legal field, helps organize the Trumbull Teas, and joins in many of the activities of the college. 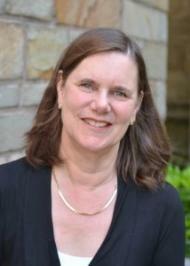 Deborah (Deb) Bellmore (deborah.bellmore@yale.edu) is the Trumbull College Operations Manager. She is a native of New Haven and grew up in the East Rock section. She and her family (Mike, Michael, Cali and Jenna) spent 5 ½ years in Oklahoma and 4 years in the Marshall Islands while her husband worked as a research meteorologist. He was an alum of the Yale School of Forestry and Environmental Studies MFS’86. She holds a BA in English and Economics and has worked at Yale for 20 years including the Council of Masters office and the Oral History, American Music project. Deb enjoys gathering with family and friends over home cooked Italian food. The Bellmore clan also consists of 3 cats, Benny, Lua and Charlie that are all rescues. Debbie Rueb (debbie.rueb@yale.edu) is the Head of College Senior Administrative Assistant. Debbie has worked in the Trumbull office since November 1998. She lives in Madison with her husband, Bill, and commutes to and from work on the Shore Line East train. Besides spending the work week in Trumbull, she enjoys reading (just got a Kindle), movies, gardening, hiking and travel. Oh, and cooking too — when she has time.